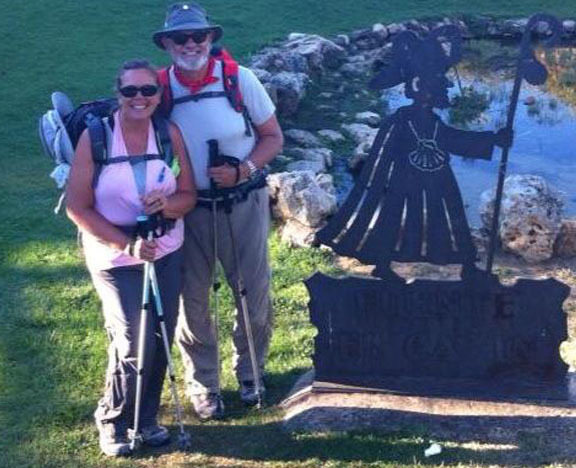 Welcome to our Camino de Santiago de Compostela page! The Camino de Santiago, “A spiritual journey that pilgrims of all faiths and backgrounds have traversed for over a thousand years.” What we found at the end of it all is that it isn’t the places traveled or kilometers hiked that make the Camino de Santiago such an amazing journey, but the people you meet along the way. Buen Camino friends! Update: December 31, 2015 | We are just now getting to the writing part . . . hang in there, we’ll get it done soon(ish)! Check out our past and present Camino posts. Our Camino day by day by day . . . journals and slideshows, or simple static galleries of all the photos. The 2013 Equipment List, what we brought with us and why. An honest Post-Hike Equipment Review of the gear and things we brought, what we truly needed and what should have been left behind. A Post-Camino review of our experiences, things we’d do differently, tips and suggestions we’d offer to the first-timer, and cool stuff we learned along the Camino de Santiago de Compostela. Our Camino Family, those folks we met along the way. Some we met only once, others we are still friends with today. For us these are the folks that made an impact on our journey, turning bad days to great ones with a simple conversation. Thank you for following our journeys. We hope that you find inspiration for one of your own, either on the Camino de Santiago or something closer to home.